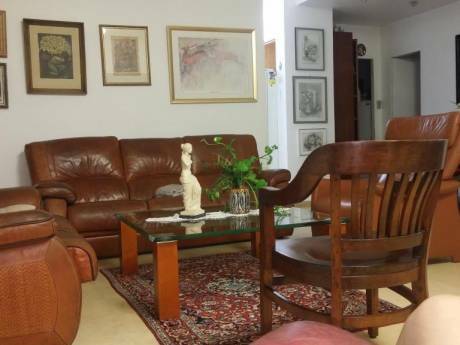 We offer a large and unique apartment in Haifa, and a beautiful studio apartment attached to it. If one ever dreamed of writing a book - this is the place to do it!!!! It has a well equipped kitchen overlooking Mount Carmel. A spacious living room with a big dining table for 12. It also has to lovely 2 bedrooms with small private balcony facing the sea. In each room there is a double bed. Both apartments are on 3rd floor with no elevator. There is a cleaning lady once a week. After 35 years in Jerusalem. Once our 5 children left the house we decided to move to our beach house in Haifa as we wanted to be close to the sea and enjoy the Normality of Haifa which is known for its ambiance of co existence. I used to be The General Manager of very big art projects in Israel. Amnon my husband is a film director and runs a TV channel. We have three grand daughters. 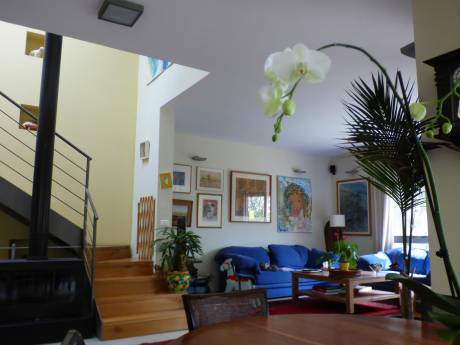 Situated on the waterfront, close to the the highway from Haifa to Tel Aviv. The street has only seven 80 years old stone buildings and a church. Most of the inhabitants are fishermen. In front of the house there is a surfing club and it is considered the best place in Israel for Kite and Wind surfing. Some of the best fish restaurants in Israel are situated in the neighborhood 5 minutes walk there is a promenade with authorized swimming beaches (for children). There is a close train station. Distance to Tel Aviv is 90 km, to Jerusalem, 150 km. 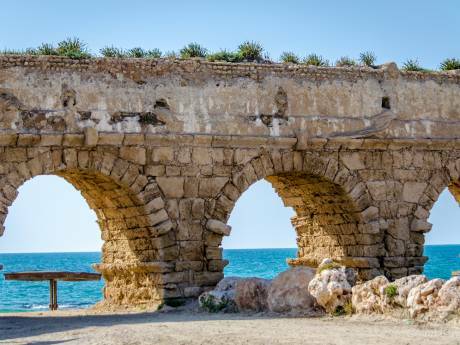 Haifa is the Capital of Galilee and an "Island " of co existance. We love it!